The beautiful, young, and headstrong Ruth Virey gets herself in trouble with her fiery temper and impulsive ways. Willing to risk anything to escape her life at a "barren desert water-hole," she finds herself having jumped from the frying pan into the fire until Adam Wansfell, her husband’s brother and murderer, shows up and professes his love for her. Excitement rises to a smashing climax when, in their fight to retain possession of a priceless waterhole, Ruth and Adam come face to face with the law and the man they both believed to be dead. 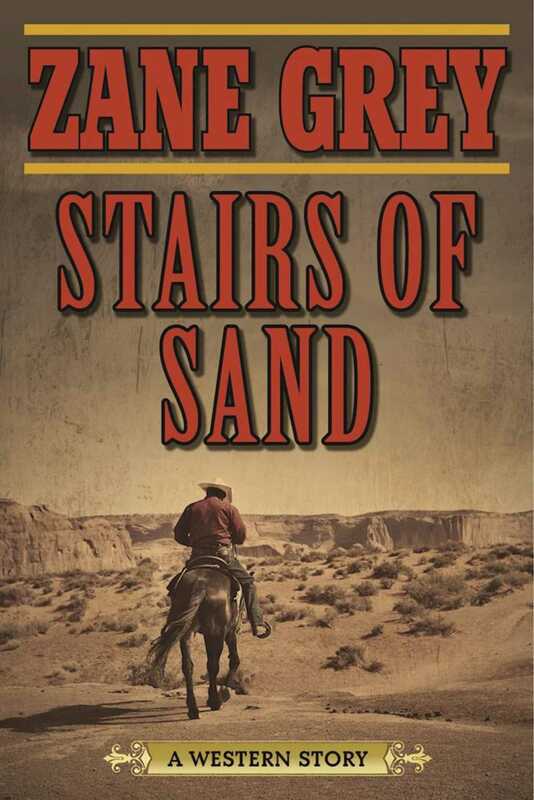 In Stairs of Sand, the desert country of Southern California and the amazingly beautiful canyon country of Arizona come vividly to life as the background of this thrilling Zane Grey story of life in the bold, action-packed days when the west was still a frontier.